It's no secret Chris and I love Mexican. And we love all forms of it from the upscale offerings at Oyamel and Rosa Mexicano to the humble (but ever so amazing) tacos at District Taco. Burritos? We're at Chipotle for lunch every Saturday. And our trips to Guapo's for a Tex-Mex fix of fajitas and margaritas are legend among our friends. 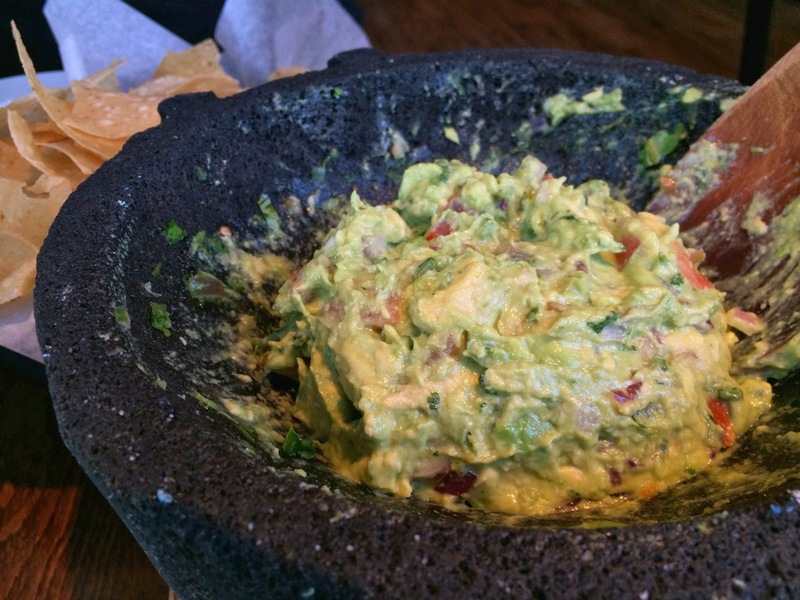 So, we're almost always up for trying new Mexican restaurants when they open in D.C. 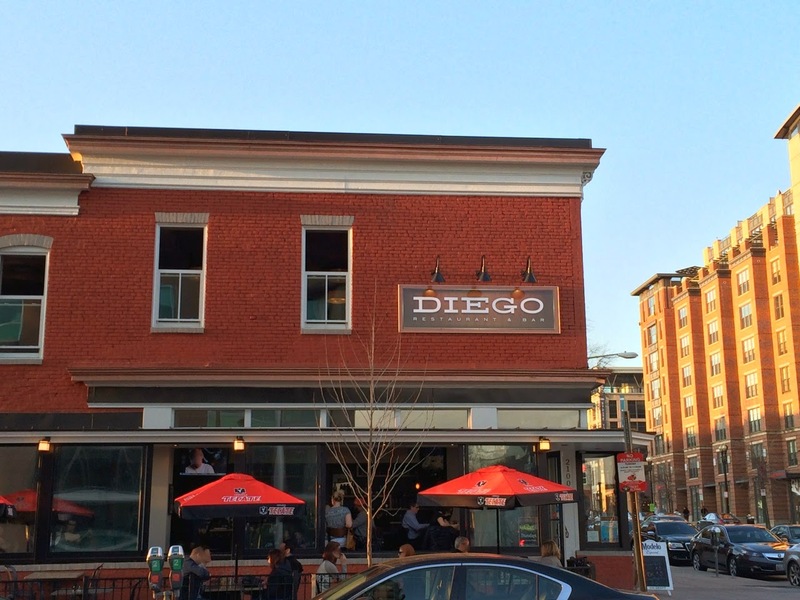 I had high hopes for Diego, which opened last year near the northernmost edge of D.C.'s hottest dining zone, the 14th Street "hip strip." It's a segment of the city that's home to the likes of Birch & Barley, Le Diplomate and a great Mexican place, El Centro D.F. While I didn't dislike our dinner at Diego, I didn't find that much to cheer about. Mostly because its menu offers little of interest that I can't already get at many of the fine aforementioned establishments I count among my very favorite places to frequent. It's a shame, since apparently the restaurant used to offer more interesting dishes. Diego opened briefly in July with chefs reported to be alums of Guapo's and Lauriol Plaza, but then the owners closed Diego just two 2 weeks later unhappy with the food and service. They hired a new chef, Billy McCormick, who retooled the menu with what Eater DC described as a mix of Mexican favorites and more experimental offerings. Under McCormack, Diego sounded quite delectable. Menupages shows the restaurant offered such salivating dishes as grilled Cowboy Cut Pork Chop with cowboy caviar, chorizo greens, and green mole; mesquite-smoked goat, pork or lamb barbacoa slow roasted in banana leaves; and Mexican chocolate fondue for dessert. If that was what Diego was serving today, I'd have been more than satisfied. But McCormick departed in November (he's now at Joe's Stone Crab) and with him went the experimentation. It's unclear who's in the kitchen now, as Diego's website mentions only the name of the general manager. 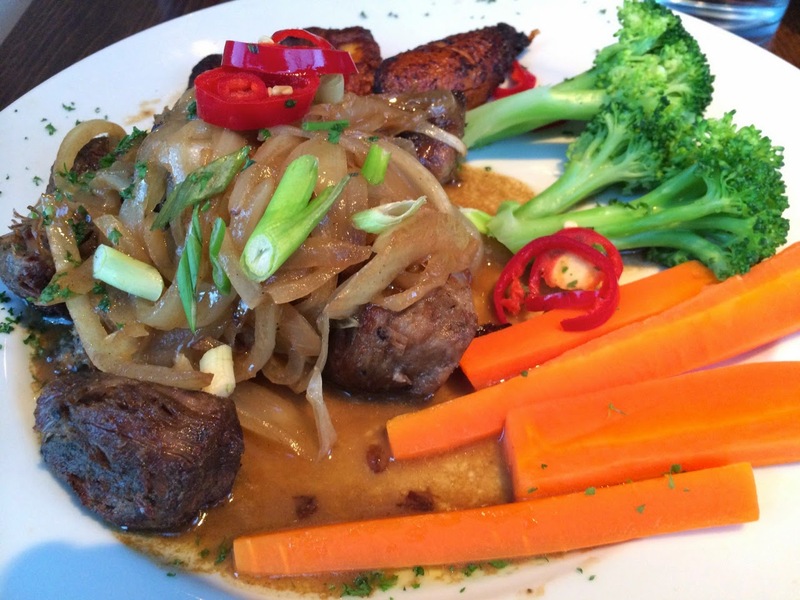 Diego's current menu features the same dishes you can get pretty much anywhere else. It's not a bad selection, but it means that Diego offers few reasons to venture to this neck of the woods if you can enjoy good Mexican staples closer to home. I sprang for the masitas de puerco, a homey dish of roasted pork with sautéed onions and fried plantains. While I liked that the dish was garnished with rings of fresh red chiles, I thought the meat itself was a bit dry, possibly a little overcooked. 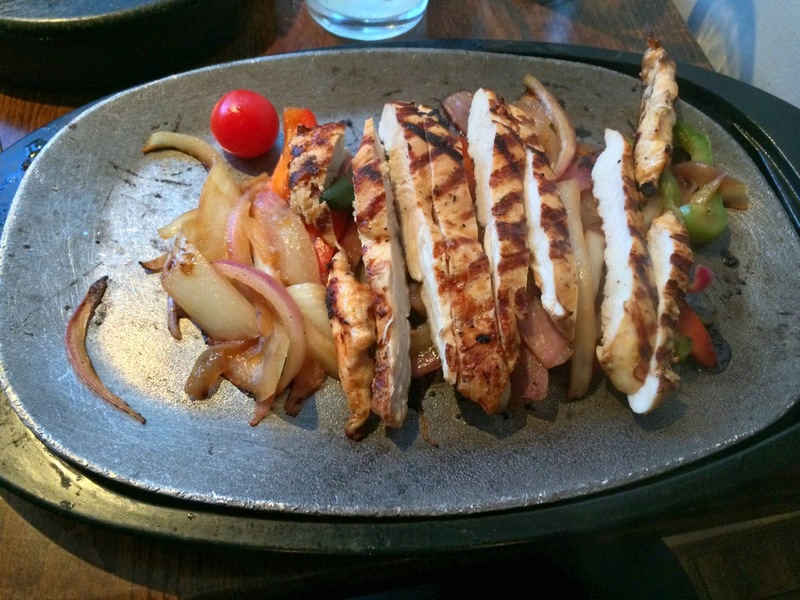 Chicken fajitas were nicely grilled but surprisingly bland. The thin, crispy tortilla chips were really good though, perfect for dipping in the guacamole (made, thankfully, in the kitchen) and smoky-spicy salsa. While it's a shame they no longer have desserts as interesting as Mexican chocolate fondue, I was happy with the tres leches cake, which had just the right texture. One of Diego's finest features is its cocktail menu, anchored with seven choices of margaritas including the house Diego Margarita, a tart and tasty traditional concoction of silver tequila, fresh lime juice and agave nectar. We also enjoyed the smoky mezcal mule with hibiscus-infused tequila and ginger beer. 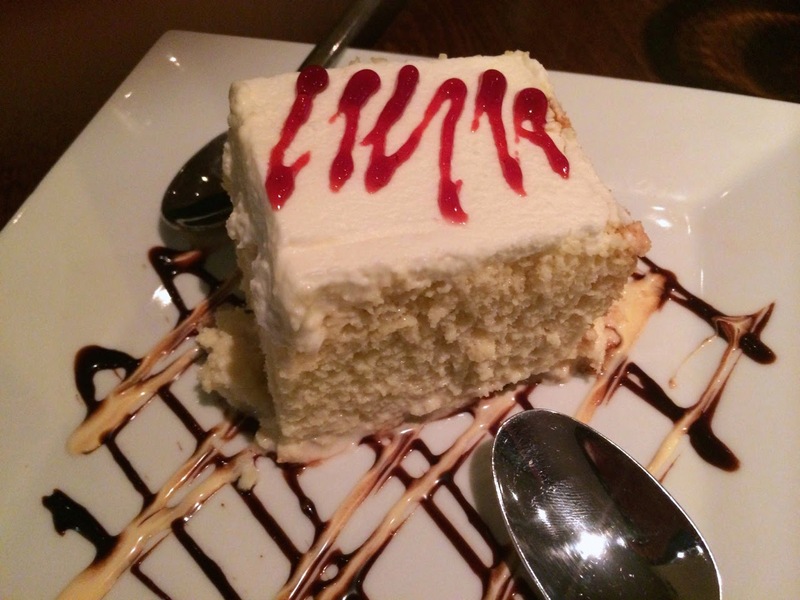 We had a great time at Diego, but the food is not distinctive enough for me to recommend a trip across town for it. If I lived near 14th Street, like Supreme Court Justice Sonia Sotomayor (who we spotted the night we visited), I'd probably be there all the time. But for now, we're content to continue being regulars at Guapos, Alero or Rosa Mexicano, all (luckily) within walking distance of home. Diego, 2100 14th Street NW (at V Street), Washington, D.C. (U Street Corridor). (202) 758-3376. Reservations: Open Table. I think your review is fair. This was a good meal and the drinks were terrific, but if this place got a little more adventerous with its menu, I'm sure we'd love to go back.